The Levah, by John Lobb, has been on the radar ever since it was introduced by the Northampton icon. 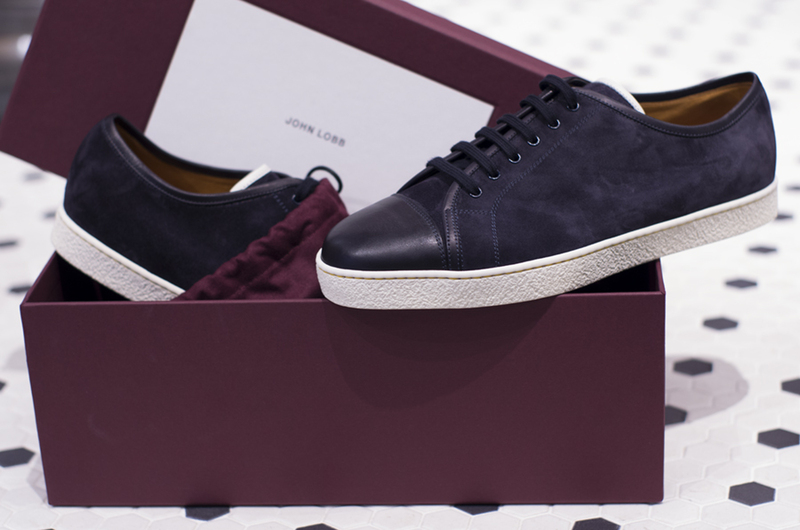 The market is filled with minimalist sneakers, and how is John Lobb going to separate the Levah from what’s available? My first impression of the Levah is the details. The luxe suede, leather cap, and fully lined leather footbed are nice. The side view is simple, but the top view reveals its unique shape. The Levah is available in dusk (midnight) suede, stone (tan) suede, and chalk velveteen calf for $670. Made in Italy. We did not order a run of these because we wanted to give them a test run, but we will be more than happy to help you place a special order. I’ll update you in a few months to see how the Levah “ages”.